Holly and Polish: A Nail Polish and Beauty Blog: Sammy Dress Outfits!! 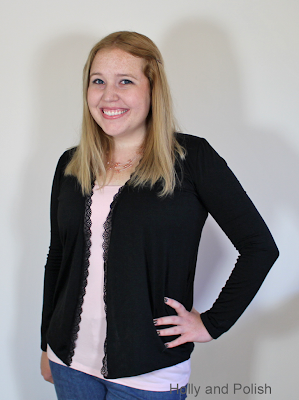 The website Sammydress recently sent me a couple of clothing items to try out and review! For those of you who don't know what Sammydress is, it's a great extremely affordable clothing website. They literally have thousands of cute items to choose from. If you haven't been to the site before, you can check it out here!!! This cardigan was really pretty! This is very thin, and basically has the same thickness of a standard long sleeve shirt. This has a beautiful lace design going down the front. I couldn't find the link for this item, but an item very similar to this one retails for $7.09! 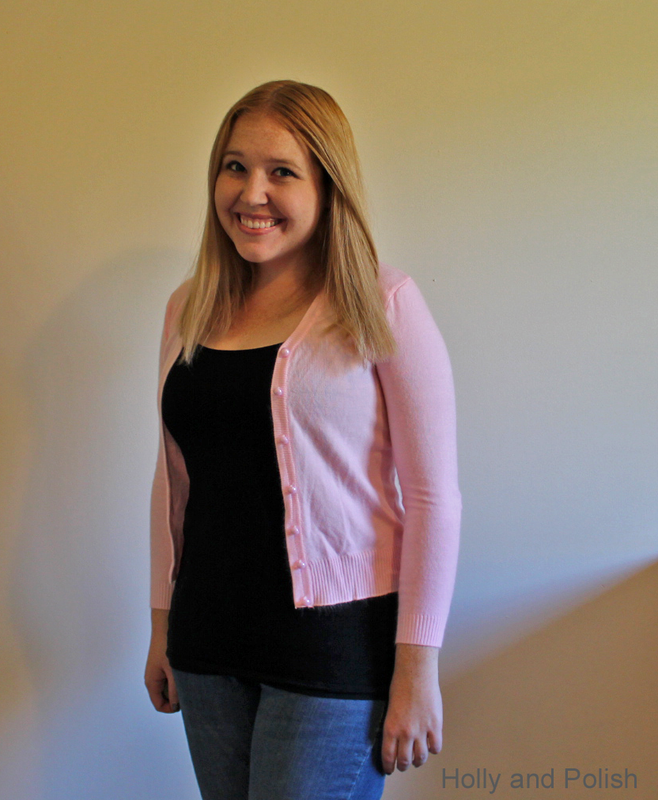 The pink cardi is great and so versatile looking. Amazing price too! I have to check out Sammydress.